Summertime brings about horse shows, trail rides, and county fairs. Unfortunately, with those joys come plenty of insects. Horses are affected by many types of insects in different ways. Flies, ticks, and mosquitoes are probably the most commonly encountered offenders. Most horses are only mildly irritated by flies and have the occasional welt from a nasty bite. 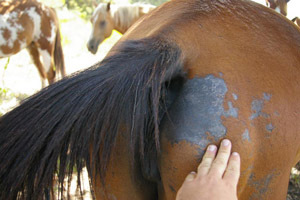 Some horses, however, are highly sensitive to certain insect bites and develop a condition known as sweet itch. This is caused by the biting midge, which is a tiny black gnat that is found around streams, marshes, and ponds. It inflicts painful bites and is very irritating to livestock. They feed on the mane, tail, and belly, and horses that become allergic will scratch and rub these areas causing hair loss, redness, and irritation. The biting midge also carries larvae of a worm that causes skin disease in horses. Mosquitoes carry a variety of blood-borne diseases that horses can acquire. 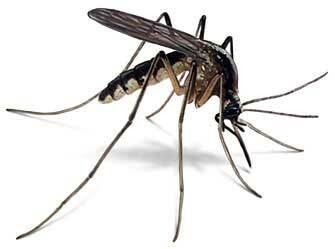 Eastern, Western, and West Nile encephalitis are all transmitted by mosquitoes. Fortunately we have very good vaccines against these agents and if you vaccinate as directed by your veterinarian, your horse has very little chance of contracting one of these diseases. The vaccinations are most effective when administered before mosquitoes become prevalent. Mosquitoes can also be very irritating and many horses are sensitive to their bites just as people are. There are several measures that can be done to control flies and mosquitoes. Manure disposal is essential to preventing horrible infestation of flies. Stalls and sheds should be cleaned out regularly and manure should be dumped as far away from the horses and barn as possible on your property. Prevent stagnant water from accumulating in pastures and barns to keep mosquito populations down. Ensure proper pasture drainage and dump out water that may be standing in old tires, water troughs, etc. 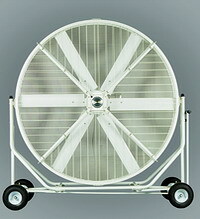 Place fans in stalls, aisleways, and sheds to keep flies from accumulating in these areas. Commercial fly sprays, foggers, pour-ons, and spot-ons can be used judiciously to treat both the horse and its environment. 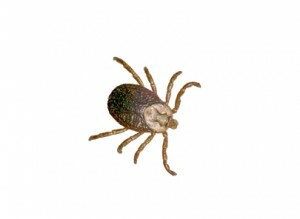 Ticks can be a nuisance during the warmer months as well. In Indiana, the American dog tick, lonestar tick, and deer tick or black-legged ticks are the prevalent species. The deer tick is the least common but can transmit Lyme disease to humans, pets, and horses. It is caused by bacteria called Borrelia burgdorferi and is most prevalent in the northeastern United States. In most cases, ticks must be attached for at least 24 hours for transmission to occur. Signs of Lyme disease are non specific and include lameness, swelling of limbs, fever, muscle stiffness, and lethargy. Diagnosis is usually confirmed with high Lyme titers and/or presence of Borrelia antibodies in the blood. However, these tests do not differentiate between a current Lyme disease infection and a previous infection. Antibiotics such as tetracycline and doxycycline are used to treat the disease, but some horses can remain infected for a long time, even for life. Piroplasmosis is a disease that was, until recently, not present in the U.S. It is caused by protozoa called Theileria equi and Babesia caballi and is transmitted by the American dog tick. It is more common in subtropical areas but can be present in more temperate regions. Signs are nonspecific and can range from sudden death to fever, inappetence, and labored breathing. Horses that recover can carry the disease for life. Diagnosis is made using a blood test to detect antibodies. Animals that test positive for piroplasmosis must be reported to the state authorities. Testing is required for entry to racetracks, major horse shows, and some states. There is no effective treatment for piroplasmosis. Anaplasmosis, previously known as equine ehrlichiosis, is another disease transmitted by the deer tick. Like Lyme disease, it is more prevalent in the northeastern United States, but can affect horses across the country. The causative agent is Anaplasma phagocytophilum. Signs include depression, not eating, limb edema, fever, weakness, and tiny hemorrhages (called petechiae) on the whites of the eyes, surfaces of the mouth, and skin. This organism infects white blood cells and can be seen on a microscope inside a type of blood cell called a neutrophil. Doxycycline and tetracycline are used for treatment. Affected horses rarely die and treatment is usually 100% effective. Tick borne diseases are not directly contagious, but more than one horse on a farm may be affected. Contaminated needles and blood transfusions can also transmit these diseases between horses. There are no vaccines against Lyme disease, anaplasmosis, or piroplasmosis that are approved for use in horses. Tick control and prevention are key to protecting your horse from tick-borne diseases like those mentioned above. To read about tick control measures, see the related article in our Ask the Vet section.